On Thursday, May 2nd at 6 pm, join us to celebrate the release of author Jennifer Dugan's young adult debut novel! 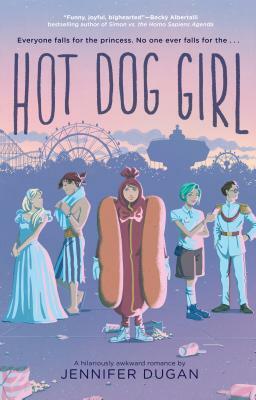 This fresh and funny contemporary YA rom-com is about teens working as costumed characters in a local amusement park. * Her best friend, Seeley, the carousel operator, who's always been up for anything, suddenly isn't when it comes to Lou's quest to set her up with the perfect girl or Lou's scheme to get close to Nick. * And it turns out that this will be their last summer at Magic Castle Playland--ever--unless she can find a way to stop it from closing.